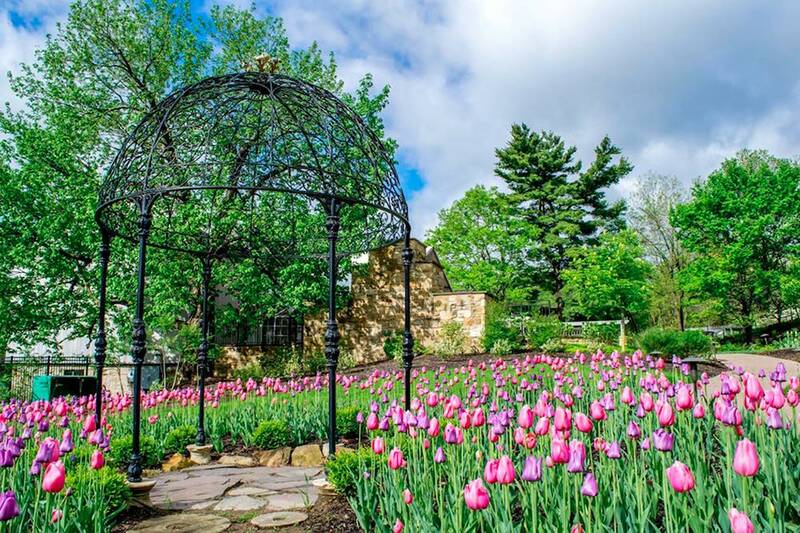 Pittsburgh Botanic Garden inspires people to value plants, garden design and the natural world by cultivating plant collections of the Allegheny Plateau and temperate regions, creating display gardens, conducting educational programs and conserving the environment. We’re nurturing a unique vision at the Pittsburgh Botanic Garden. We’re reclaiming land from Pittsburgh’s gritty, industrial past and transforming it into an outdoor experience unlike any in the region. Now acres of forest that were farmed, logged and mined are coming back to life with healthy trees, inviting trails, forested slopes and open meadows. Today, you can wander our 60-acre Woodlands and enjoy an award-winning Lotus Pond. The stunning Margaret Lawrence Simon Dogwood Meadow. Fun exploration stations for families. And three miles of peaceful, wooded trails. You can see the roots of our region in an historic homestead featuring a log cabin, heritage apple orchard and chickens. And you can celebrate special occasions in our beautifully restored 1870s barn that also serves as our Bayer Welcome Center. But with 460 acres, we’re just beginning to blossom. The Garden is already connecting people to Pittsburgh’s history and the beauty of Western Pennsylvania. In time, and with your help, we’ll grow it into a premier asset the region can be proud of—and people everywhere can enjoy. -Story contributed by Lindsay H.